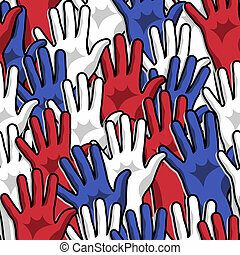 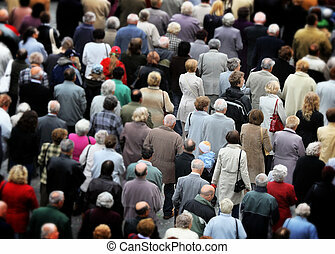 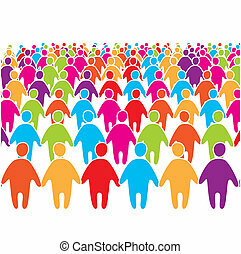 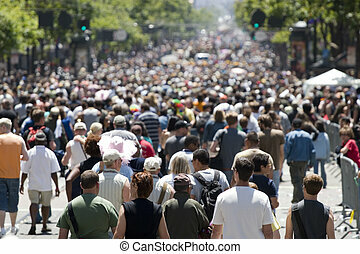 Big crowd of many colors social people group. 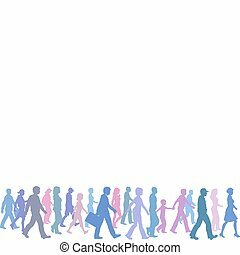 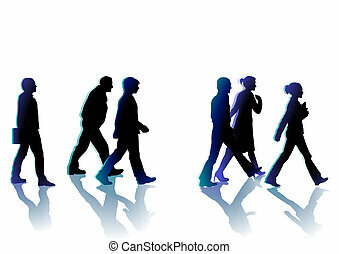 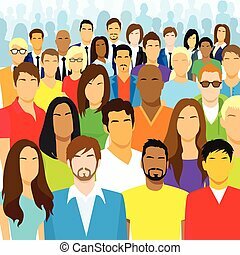 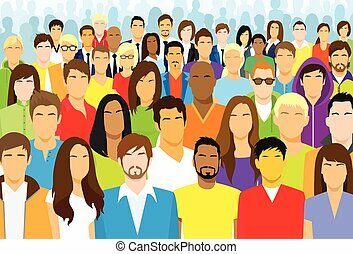 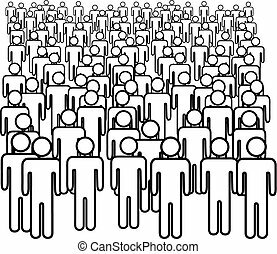 A big diverse crowd of colorful social media stick figure people. 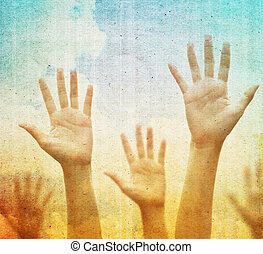 Raising hands against vintage blue sky background. 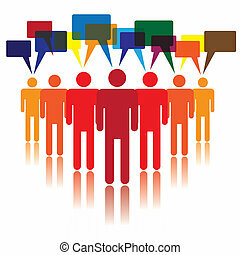 Filtered image. 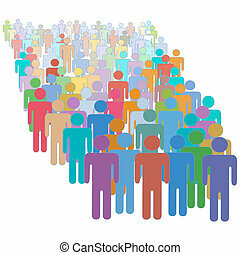 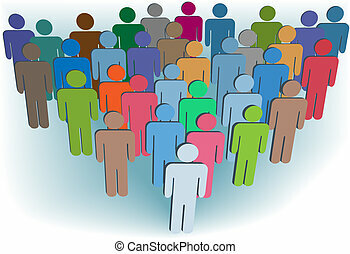 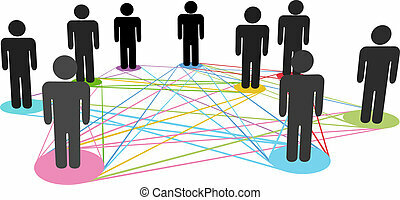 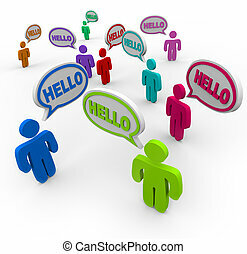 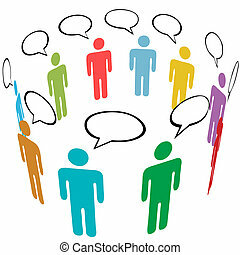 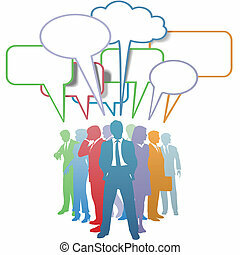 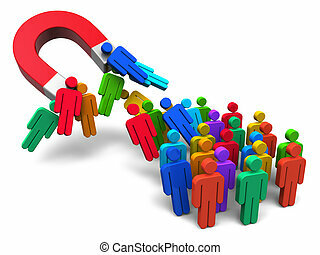 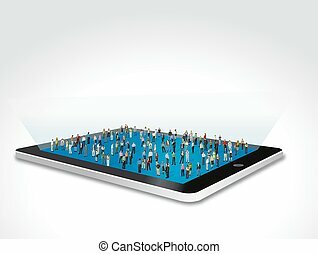 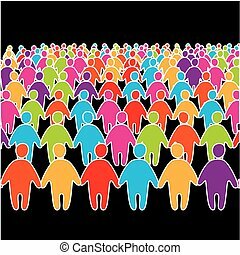 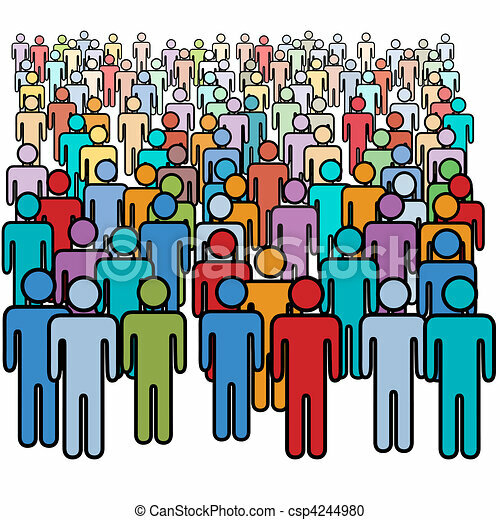 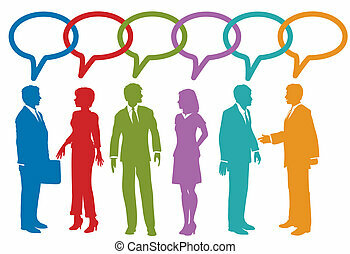 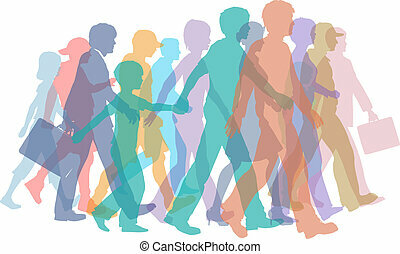 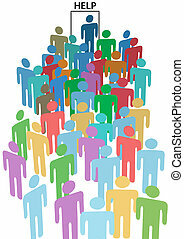 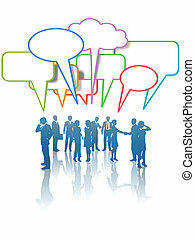 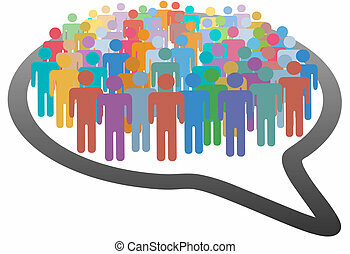 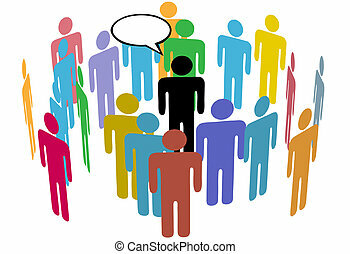 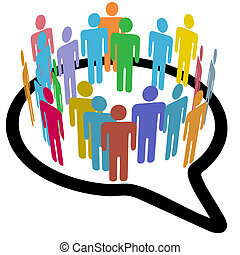 Group of colorful business people network and communicate in speech bubbles. 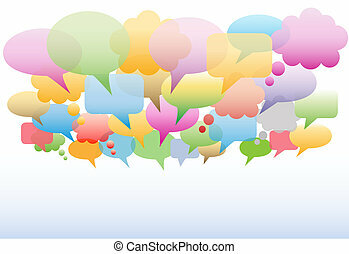 A social media cloud of many speech and thought bubbles translucent gradient colors as a background.